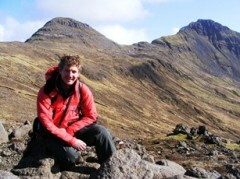 Sam Hughes is a PhD student and part-time lecturer at the Camborne School of Mines (University of Exeter). He graduated in Applied Geology from CSM in 2008 and went on to work as a surveyor before returning to CSM to take up his current role. Sam’s PhD looks at the tectonic evolution and granites in West Cornwall. He also works part-time for the National Trust at Godrevy. Having grown up in St Ives, he has always had interest in the natural history of the area.